Keough is thrilled to be teamed up with Brewster Thornton Group Architects for the new Student Services Building located at Rhode Island College. Keough is providing a professional cost estimate for this new building to support desired programming. 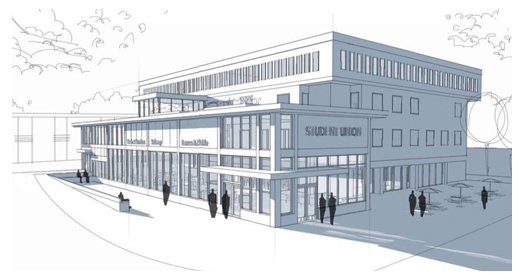 This new four story structure will house the Bursar’s office, Registrar’s office, Financial Aid office, and Student Activities office creating a “one-stop” location which is conveniently located and easily identified by the student body.